this tour was less luxurious and the scenery less spectacular than the other trips i have taken with you. The trip seemed less luxurious than others i have taken with you. No snacks while biking ( except for when you met up with the van) is an example. The leaders were excellent which was why I rated the tour 4 stars. Provence and Lake Champlain were prettier and a bit more generous. Although I continue to recommend your company to all my friends, I don’t think this tour was memorable to me. This tour was a lot of fun and a great experience. Fantastic trip. It was good for the average as well as more adventurous bikers. Most important – best food in my life. I would certainly recommend doing this tour with the pre and post trip especially if this is your first time to Italy. All in all the bike trip was a chance to see part of the Tuscan area and coast. The biking was moderate and the tour guides were charming. The food was very tasty. I do remember that the last night seemed very long and the food took forever to arrive. I don’t think we would have enjoyed the tour as much without the pre and post trips to Florence and Rome. It sometimes looked just like we were biking in the California wine country..which is beautiful, but that is where we are from, so it is more fun for us to bike in more unique settings like New Zealand. From being met at the airport to being dropped back off, and everything in between was fantastic. 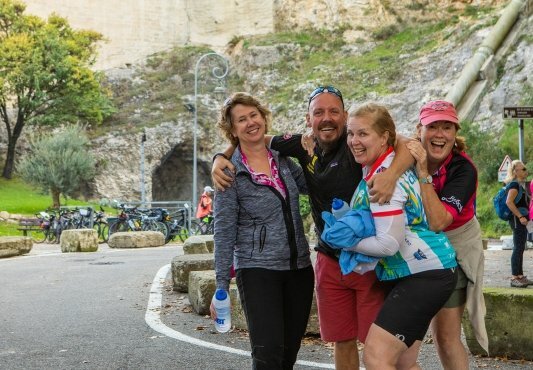 Our tour guides, the scenery, the itinerary, the food, and the experience of meeting new people and making new friends made my husband and I want to do a cylcling tour every year. It was a pleasure to have someone else worry about the details of the trip. All we had to do was pack, the rest was easy. A no stress vacation, what a concept! This was our first VBT tour and we liked it so much that we are taking another tour in early Sept to the Italian Dolimites. TheTuscan Coast tour leaders were outstanding and we can’t imagine any better. Claudio and Tim were a major part of why this trip was so enjoyable! You really felt like they wanted to give you the best vacation ever, and they seemed like they were having as much fun as we were too! The olive oil tasting and wine tasting are two unforgetable memories, as well as the references to finding G.O. D., or -“gelato of the day”. There’s nothing like enjoying a delicious ricotta fig gelato after a day spent biking the hills of Tuscany! We love being active on a vacation, and while the biking was challenging, we never felt pressured to do more than we were able . We look forward to exploring many more places with VBT. Very enjoyable tour; lots of lovely countryside and good food. We particularly enjoyed the extension options for a pre-tour stay in Flornece, and post-tour stay in Rome. As always, VBT staff and independent contractors employed by VBT were wonderfully helpful, and accommodations were excellent! Magical...met our dreams and expectations for our first trip to Italy. Our first trip to Italy, but not first trip with VBT, we truly enjoyed every moment of the trip. Starting at the Airport gate, being met by the VBT rep. gave us the comfort that we would be taken care of on our trip. From the cab ride to our hotel in Florence to our final ride to Rome, we felt special. Our guides were so helpful and knowledgeable and entertaining with humor and local trivia. They truly cared about everyone on the trip and met every request with a smile and helpful answer. We not only booked another trip, but have recommended VBT to over 6 couples who also booked amazing trips in the last year. Our friends traveled from New Zealand to France to Vietnam. This tour is made for memories! I loved this trip ! The savory meals at Chicca’s casa, the olive mill, and at Montebelli were highlights of our culinary experiences. Our guides were exceptionally knowledgeable and accommodating. The Tuscan scenery made every day magical … cycling through the Cecina pine forest or viewing gorgeous sunsets on the Tyrrhenian Sea . A wonderful experience on a well guided tour. My husband and I thoroughly enjoyed our Tuscan biking holiday. We had wonderful rides and our guides made each day special. Thanks VBT. Amazing trip- dream of Italy daily. Beautiful scenery, excellent food, (best food ever, thank you our Italian hosts), guides were a delight, and so much fun. Accommodations were lovely. This was our first tour with a group, so we were a bit apprehensive, but as it turns out, that worrying and thought was for naught. VBT even had a suggestions for our post trip in Rome. If offered, do not miss the walking tour of Rome with Frank! Money well spent for this tour, we learned so much. We anxiously await our trip this fall to Provence. 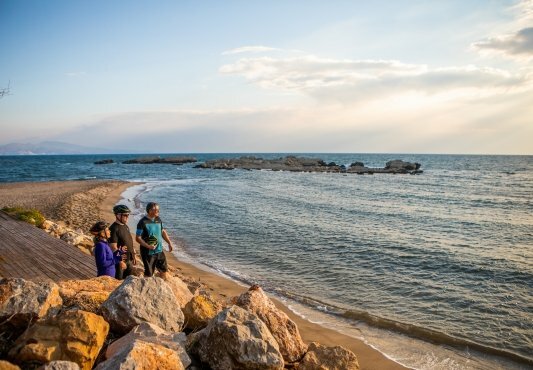 I’m not sure if it will be as amazing as the Tuscan Coast, but I have absolute faith in VBT offering a trip equally special as the Tuscan Coast trip. We can’t wait. We are truly fortunate to be able to travel with them once again for our 30th wedding anniversary this October. An anniversary worth waiting for! Our trip to the Tuscan coast was indeed the celebration of 25 years of marriage we felt worth waiting for! Sunny days, warm evenings and long,luxurious rides thru the Italian countryside made for a truly incredible celebration of our lives ! We have never done anything like this VBT tour but put ourselves in their hands for a trip of a lifetime! The inns were unique and special,each a welcome rest station after a fun, sun-drenched day of cycling. We always say the best part of cycling is how good it feels when you stop and these accommodations made stopping oh so much sweeter! Comfy beds in clean well appointed rooms we felt like family more than guests at each of our hotels. Our guides became friends, offering encouragement, good humor and tips for finding GOD (Gelato Of the Day) which made for great commraderie with our fellow travelers! We started planning our next trip as soon as we got back and hope to book our 28th anniversary trip next summer with VBT. This was a wonderful tour. The lodging was exceptional, the food was delicious and the guides were pleasant, accommodating and fun! What a way to see Italy! This was my first VBT trip and it was excellent. So much so that I have taken 2 additional and am waiting to go on another to Croatia. It is great to see parts of the country that the average tourist would not see and to learn about the different areas. At the first lodging we were treated with fresh figs from the fruit trees. The Tuscan Coast is a marvelous adventure — tasty Italian cuisine including fresh, home-grown vegetables, distinctive wine, great views, quaint medieval villages with fun, helpful leaders. This was such a memorable vacation. The tourismos were comfy, relaxing and picturesque. I loved every minute. I found the others on the trip to be congenial and friendly, even when 6 of us got separated from the group and no one spoke Italian. The challenge of getting back on the route was certainly an adventure. Even with our detour, we arrived for the olive oil tasting and lunch on time. All I can say is a perfectly marvelous adventure!!!! You have to go with VBT! The trip leaders, my fellow travelers- it was truly the trip of a lifetime. From the time I was picked up from the airport by a very wonderful VBT representative until the time I left, I felt like a catered to ROCK STAR. The only problem was despite it being a cycling tour, I GAINED weight from eating so much delicious food! The knowledge, the activities provided, the breathtaking views…my next trip will be with VBT again. well planned, exceptional leaders, nice accomodations. this still resonates with us several years later: Paulo and Claudio, twins who led our tour, gave us so many “pearls” that we talk about so often, like the time we felt (erroneoulsy)we had gotten lost, ending up in a field where we weren’t sure which way to turn, talking with body language only to an italian farmer who had no English, we no Italian, but managed to communicate. when we got back, we told the brothers, “we got lost!” but Paul told us excitedly, “oh, you lucky people, you are the only ones who had an ADVENTURE!!! !” To this day, when faced with some challenge, we tell each other, “oh, another ADVENTURE!! !” and are both transported back to Tuscany and VBT! I would do this trip every year if I could. Really. Such a beautiful place, such wonderful food, such a great trip, so well organized, kudos to VBT, Luca and Luigi. Thanks for a trip of a lifetime! A culturally rich tour that will please your senses. The Tuscan Coast tour is a beautifully balanced combination of cycling and cultural experiences. The route takes you through classic tiny Italian villages, with elderly men in lively discussion around the central fountains. At the end of the day, accommodations in the midst of vineyards and olive groves, with rich country cuisine contribute to the sense of being “hosted” by the Italians. Finally, the educational and cultural sessions, learning about wine and olive oil making, having lunch at a family home, all contribute to making this a very well rounded tour. Amazing trip, amazing people, AMAZING FOOD! If you’re a foodie, love meeting interesting people from around the country, love adventures and experiencing the italian countryside up close and personal, this trip is for you!! The accommodations were outstanding, from olive tree orchards, wine tasting picnic lunches, and dinner extravagances, it was a feast for the eyes and the appetite! We joined a private group tour literally weeks before the trip. VBT staff were very accommodating, arranging our flights to match those of the others in our group. Elena and Andre met us in Florence and provided wonderful suggestions for the few hours we had to visit the beautiful city. We enjoyed wending our way through the towns and villages, learning about the history, people, flora and fauna. Our meals were delicious and beautifully prepared, with many healthy options for the vegetarian in our group. At first I thought this might be a once in a life trip adventure, now I hope that it is the first in a series of travels. My wife and I totally enjoyed the trip, met a lot of great people and our trip leaders were wonderful. The plane ride home ruined the trip for me. We left Rome an hour late, had to fly 10 hours to Atlanta, right over Phila. were we live, run to our connecting flight and then had to fly another two hours back to Philly. The whole ride home ruined the trip for me. It became the trip of our lifetime so far with many more to follow! Florence and Rome were wonderful but the real memories are on the bikes riding through the countryside. The Inn keepers all own their wineries and share their passion – like characters out of a novel. Lunchtime in the midevil towns was always delicious. They are always uphill but worth it. Fellowship with the other riders was great. The food was fabulous except for the liver pattee that I kept ordering by mistake. We are hooked and plan to do more trips soon. The slow paced, up-close and personal style of seeing Italy was great. I am not a avid biker, but the tour allows you to go or not go at your own pace. I would and have recommended the tour to others. I’d love to do this one again, next time in May, rather than October. That would give me a chance to experience Spring in Tuscany, with all of those fresh young greens (I’m a foodie!). Timothy was an outstanding guide. I hope he does the May tour, as well! The scenery, people (with a chance to use my on-line-earned, if halting, Italian), food, nicely paced cycling, and comfortable bikes, make this tour a winner for me. Visiting the Italian Wine Country in Tuscany was thrilling! When we decided to spend our 40th wedding anniversary biking the Tuscan Coast in early summer, we never dreamed our return to Italy would so wonderful. The great rides on country roads were well organized to visit many local vinyards and vintage hillside towns. This was our third VBT bike tour and it turned out to be most outstanding. The other riders on our tour (19) were fun and interesting to be with during our tour. Our pre and post tour visits to Florance and Rome were the frosting on our vacation treat. We had local cycling guides who were well organized and safety conscious. We would take another VBT tour if we could take our tandem bycycle which we are currently riding. One of the best vacations I’ve ever taken! I loved everything about this tour; the food, the people, the sites and locations… And the tour guides were wonderful. I highly recommend this tour. this was our 2nd vbt trip-brought my sister and her husband along this time. we went at the end of the season-so it was a little cool and quiet. We loved the daily wine-tastings, and the meals were amazing. We enjoyed the group’s variety with some surprising dinner conversations.The bike routes were beautiful. The extra features- cooking class, olive oil tasting added, and the delightful italian charm of our guides were what made this more than just another bike tour. we will be back- spain? Great cycling. Great sights. Fun and competent guides. We loved it. Could not ask for a better vacation! New friends, great food and some exercise! This was a great trip made better with fabulous guides, amazing scenery, incredible food and wine plus some very nice people to get to know. The extra time in Florence on the front end was excellent. We hired Simone (local VBT guide) to give us a crash course on history, art, architecture and all things Florentine like the special little shop that makes mosaic paintings using the old, traditional techniques. We have fond memories of Florence because of Simone who made us feel very much at home. The time in Rome after the biking was also very special. Again we hired a guide for a crash course so that we could learn as much as possible in the short time that we had in such a lovely city. I have recommended this trip to others a number of times and look forward to the next trip that we book…maybe Croatia! After much research on biking vacations in Europe, my boyfriend and I decided on The Tuscan Coast VBT Tour. We normally vacation aboard luxury cruise ships since we like to see many interesting places while on holiday. VBT offered many of the same things we love about the cruise ship experience–nice accommodations, great food and wine, airfare included and wonderful tour guides. We are experience travelers and wine enthusiasts, so this tour looked like it would hit all of our interests. Many of our group of 18 now stays in tour via Facebook, and we hope to have a reunion VBT tour of France next year. Bravo VBT! We had a great time during the entire trip. The degree of dificulty was perfect. Nothing too hard. Excellent tour guides, friendly, knowledgeable and helpful. Perfect weather. Interesting places. Great food. This was my first organized cycling vacation. Choosing VBT was an excellent choice. All details of the trip were handled by them, including my round-trip air. The price of the entire trip including air was good and we stayed at awesome places. The cycling experience was unbelievably wonderful. I have recommended VBT to friends and will definitely use them again for future cycle vacations. This was my first trip to Europe and I have happy memories. Tour guides and accommadations were excellent! This tour was everything I had hoped for and more! From the moment we met our trip leaders to the tearful good byes to our fellow bikers and leaders this trip was amazing. Great biking, accommodations, wonderful food and an authentic introduction to the Italian culture. This was a great trip to do with a group of friends and we made memories that will last a lifetime. This was our first foray to travel abroad with a group and to cycle. We wanted the experience of guides who knew the country, the language, the customs, and the added ability to eat and drink with an activity that would allow us to exercise it all off. We could not have asked for a better introduction to cycling and through beautiful countryside. VBT allows for every physical level to enjoy their time and they also take care of the mechanical needs of all equipment. The guides are superb which allows for a jovial atmosphere to exist as the group gets to know one another and all the amenities are top notch. Highly recommended, especially for first time cyclists – highly recommend the road bike over the hybrids as well as they are of high quality and well maintained. Have fun!! The hills were gorgeous in April, the weather was perfect, the routes were superbly designed, descriptions of the area were exceptionally crafted, the group was excellent and ready for this area, and the trip’s leaders were just superb! The food? Memorable evern four years later! Book-ending the trip in Florence at the onset, and Rome at the conclusion, were also high points. Might just do this same trip again in the future. What made this tour outstanding was the diverse bicycling through the hill top towns, farnlands and seacoast areas. The options for bicycling routes and included narrated events gave the freedom to chose out of a variery of activies each day. The included meals at the hotel stays were of the best quality of fresh local ingredients, rooms very suitable & confortable, & the wine tasting an exciting attraction. Every need you could possibly have was taken care of so you could immerse yourself in the pleasures of the trip’s ammenities. Loved every minute of it! Scenery was outstanding with the food to match. Luca and GiGi (our guides) provided a jovial and entertaining atmosphere. The variety of inns, hotels, and agriturisimos was a pleasant surprise. I would highly recommend this particular trip to all. I expected to see beautiful scenery and enjoy amazing food, but I was delightfully surprised by the extra’s — like the olive oil tasting and lunch on the olive farm, the Tuscan cooking class held in chef Cicco’s home, and the knowledgeable guides who couldn’t do enough to make the trip pleasant for everyone. These extras are what made the trip so memorable. Great trip-hosts, places to see and stay, good proportion between time on bike and time off. Would recommend this trip to advanced beginners. Overall a great value for the money. Great VBT hosts, places to see and stay. Good proportion between ride time and time off. Felt well taken care off by the staff from the very beginning of the trip to the end. Lack of GPS was a short coming. From Florence to Rome, and the stunning country- and sea-side in between, this tour was filled with spectacular scenery. Visited many quaint and beautiful villages along the way with time to explore the shops, eat and – of course – sample the Italian wines. Bicycling was easy to moderate – the fun and fantastic guides can point out more challenging optional routes, if inclined. Great way to tour the Tuscan Coast! This is a stunning part of Tuscany with an endless coastline worth riding, even if you have done Tuscany already! The guides are always the absolute best and knowledgeable. You cannot beat the price and value, always the best price around. The guides always surprise you daily with something unexpected which is such fun. Loved the home-made Gelato stop on about the 4th day in this little city on the coast! Ending up in Rome (by bus of coarse into the city) the guide who did the city tour the next day was amazing and worth paying extra for! This was our first bike tour, and only second time in Europe. Everything was first class, we took the options of the pre and post trip which allowed us to see much of the great art of the Tuscan area. Our trip leaders were always there for us, the itinerary was well thought of, and we really appreciated the fact much care was used when deciding on the bike routes each day. Safety first. We will be trying another tour in September this year, the Puglia trip. We are really looking forward to another rewarding trip. Would recommend to anyone who enjoys biking, eating great food, drinking fine wine, and gaining a better understanding of awesome people of the area! I really enjoyed everything. the routes we took, we went through forest, beaches, hills, olive groves, vineyards, small towns. the routes we easy and challenging. This was a wonderful way to travel through Tuscany and visit with the locals. Being able to ride at your own pace, stop where you want, talk to who you want makes this a better value than a simple guided tour. The guides are incredible, they seem to know someone in every place we stopped on the itinerary and even in those that were a bit off the beaten path. They were very patient with my wife who was a definite beginner and she successfully completed each day’s ride with no problems. The accommodations were excellent and the side activities well thought out. We would recommend this trip to anyone who wants the chance to see Tuscany outside of the formal guided tour and just needs a bit of assistance from knowledgeable locals. All that we had hoped... and more! This was our first tour and we were left wanting to do another. Cycling through Tuscany was amazing as were all the hotels we stayed at. Our tour guides, Alessandra and Andrea (better known as the “A” Team), were incredible; always there when you needed them. The food was fantastic (and, of course, so was the wine). VBT made traveling so easy, moving luggage from hotel to hotel and always supplying you with everything you need to have a truly wonderful vacation. The mix of riding, eating, and sight-seeing was clearly well thought out. For our first tour the Tuscan Coast was perfect… in fact, so much so, we just might make it our second tour as well. Figured this was the last opportunity for a father-daughter experience before her wedding, and what an experience it was. On any measure you use — scenary, hotels, food, guides — it was off the charts. Even the weather, which “promised” rain on several days, was perfect with cloudless skies; how the guides managed that one remains a mystery. I have traveled with VBT before, so my expectations were high, and I was not disappointed. In addition, the Rome add-on was exceptional — we loved the excitement of the city and the variety of options to explore. We’re already talking about our next VBT experience. trip of a lifetime !! I had a blast !! The riding was challenging at times, but that is what I was looking for. Never more than I could handle. The weather and the food were perfect. The group was fun and diverse. The places we stayed … especially the AgraTourismos, were superb. Mario and Claudio, our guides, were super. Fun , funny and just the best they could be. Best downhill ride I ever had. This was our first VBT trip and was fantastic! Our trip leaders were very knowledgeable of the area and very friendly and helpful with any tricky turns. The biking was not too strenuous, but we had one day where we did a lot of climbing and used ALL our gears. Rolling down for miles was a real highlight. The Tuscan scenery ranged from rolling hills to forest to castle and beach towns. We especially appreciated the lovely agriturismo places we stayed, the wine tasting, the parmesean cheese tasting, the olive oil making, and all the Italian food wherever we went. I’d definitely recommend this trip to anyone, including pre-trip to Florence and post-trip to Rome. Great scenery, good food, very helpful guides, well organized. In retrospect we should have spent more time in Florence and Rome. From my very first contact to book the tour by phone I was confident I would be in good hands for this trip and found myself more pleased every step of the way. The accommodations were far beyond my expectations: Every person, every room, every bed and every meal were of the highest quality. The daily rides were just the right amount of challenge and fun and the tour guides, Christian and Paolo, besides being wicked fun just to be with :)) seemed to know what I needed before I did; ever present, caring, and enthusiastic. I can’t wait to go again !! Our first VBT tour but not the last. To celebrate our 20th, we decided to check off one of the items on my wife’s bucket list; cycling in Italy. As our first cycling trip, we compared other tour companies but thought (correctly) that VBT offered the best value. We booked this trip to coincide with our actual anniversary date in October. The entire tour was nothing but outstanding in our opinion. Food, fun, and of course some wine made for an unforgettable trip. From pick up to drop off, everything was top notch and the attention to detail was great. However, the trip leaders were the topping for the trip dessert. They worked together well and would bend over backwards to assist you. We had such a wonderful time, we will book another trip. Spectacular tour of Tuscany from a new perspective - on a bike! Everything about this tour was first class. The accomidations, the trip leaders, the chosen route and the evening and day activities. From start to finish, this vacation exceeded all my expectations. Our tour guides Luca and Matteao were first rate…EXCELLENT! They took such good care of our every need. We were pampered and protected without feeling smothered. There was plenty of time to wander on our own and really feel the experience of Tuscany. The food, the hotels, the spa services were all incredible. The scenery and the rides we took every day were simply a breath taking experience. This was not at all a typical “tour.” I felt like I was visiting with lovely family members and getting a very “real” experience of The Tuscan coast. I’d take this trip again in a heart beat. Bellissimo! This was my first group tour and the first time to travel as a single – I had the time of my life – every day was better than the previous one and I can’t wait for the next trip! I loved the freedom of being able to ride at my own pace, taking in all the sights and sounds, and never feeling rushed to be anywhere at any certain time. As a single, I enjoyed each day and each new discovery with new friends, many of whom plan to travel together again next year on another VBT trip. From the accomodations, the food, the excursions, and the trip leaders – they far surpassed my expectations. This is the best way to really see Tuscany! The Tuscan Coast tour was an amazing experience! I enjoyed seeing all the small towns and rolling hills of Tuscany. The olive oil mill and cooking dinner with Cicca were highlights of the trip. The tour leaders were excellent and made the trip so much more relaxing and fun. I would highly recommend this tour to any level cyclist. Great time with great people in Italy! We had never been to Italy or on a VBT trip before. We quickly learned that we were the only people on the trip that had not been on a VBT trip before and one couple had been on 11 previous VBT TRIPS. In fact, several couples on the trip had met on a previouis VBT trip and this trip was a reunion on sorts. The trip leaders and accommodations were first class and we mlade many new friends. We are looking forward to our next VBT trip, hopefully to Nova Scotia. Trip leaders are excellent. Bikes were geared perfectly. Routes were very good. Agrihotel Elizabetta is very good, food was over the top for quantity and quality. Room was good, location also good. The bikes were geared just right. Agriturismo Montebelli is a fabulous Hotel. The food was very plentiful and the quality was superb. Room was okay, maybe complaining is the way to go, as the same guest from the previous hotel was given the biggest room with a large balcony again. Except for the showers leaking and the bed on the floor, this trip was really very good. Guides were terrific, routes good, food and olive oil talks at other farms were good. Lunches and dinners also very good. I would recommend this tour to anyone. We will be looking at the brochure for a trip in 2013. My son and I took the trip as birthday celebrations and we loved it! The countyside was breathtaking, the food and the wine delicious, and the places we stayed were fabulous. The VBT group was incredibly fun and our guides were attentive, knowledgable, and a delight to get to know. We should have trained more for the hills, but we loved everything about the trip! The tour leaders were really great, mainly because we were lost all the time and they never gave up on us! figure out another way to get to Cinque Terre. Everything about this trip was absolutely wonderful. VBT handled everything very professionally and the timing was like clockwork. Our tour leaders were very experienced and personable and went out of their way to maximize our enjoyment. The scenery along this route was spectacular as well as the village stops along the way. The accommodations were great and the food and the wine outstanding. This was my first biking vacation but it won’t be my last! MY HUSBAND AND I ARE SEASONED INTERNATIONAL TRAVELERS AND ALWAYS MANAGE OUR OWN ITINERARIES. WE SIGNED UP FOR A VBT TRIP TO THE TUSCAN COAST BECAUSE MY HUSBAND’S SISTER HAD SUCH A GREAT EXPERIENCE WITH VBT THE PREVIOUS SUMMER IN HUNGARY. WE ARE DELIGHTED TO REPORT THAT OUR BIKE TRIP TO ITALY RANKS AS ONE OF OUR GREATEST ADVENTURES EVER. THE LEADERS WERE EXCEPTIONAL AND COMPLETELY KNOWLEDGEABLE, AS WELL AS FUN AND RELIABLE. THE DAILY ITINERARY WAS WELL THOUGHT OUT AND INCORPORATED SOME OF THE MOST BEAUTIFUL COUNTRYSIDE WE’VE EVER ENCOUNTERED. WE’VE RARELY HAD SUCH OUTSTANDING MEALS AND THE ACCOMMODATIONS EXCEEDED OUR EXPECTATIONS. WE FULLY INTEND TO COMMIT TO ANOTHER TRIP WITH VBT IN THE NEAR FUTURE. As VBT tours go, I would rate this one below average. All VBT bike tours are fun. I think I have been on about nine now. On the bright side, the day riding from Tombolo Talasso Resort to Agritourismo Montebelli was one of the best ever. Magnificent! Unfortunately I found other rides disappointing as compared to riding in the interior of Italy. Seacoast towns are the same the world over; I prefer venues unique to the country. I was also disappointed with some of the accommodations as they were too ritzy for my taste. This was particularly true of Tombolo where I could never get oriented. It was a maze of rooms. Food was more than adequately good. How can you miss in Italy? This was particularly true at Agrihotel Elizabeth. The dinner where we assisted with the cooking at a private home was also wonderful. I swear to God the hybrid bike gets heavier with each trip. Yeah, yeah, I’m getting pretty old. The hills chosen for our routes were not particularly formidable-not even on the optional legs-but I sometimes thought I’d never get that tank to the top. I notice the guides have nice light aluminum road bikes. Not fair. I’ve rated the trip leaders in comparison to other VBT trips. These chaps were fine, but I felt that at least one had perhaps done the trip too often. Finally I should add that my enjoyment (and probably this review) was certainly tempered by the fact that my companion of all previous bike trips (VBT and others) had to cancel at the last moment due to a medical emergency. Bummer. Beautiful Tuscan countryside. Exceptional accommodations at the agritourismos. Amazing VBT guides. The Tuscany bike tour vacation was amazing. I will remember the biking in Tuscany as much or more than the pre-trip to Florence or the post-trip to Rome. Yes, seeing the Vatican and the Sistine Chapel was a memorable experience. It was amazing to think I was seeing the paintings of Michelangelo. But, the beauty of Tuscany was comparable. The biking immersed us in the countryside, the community, the culture, and the people. We passed through and stopped at a dozen small towns in Tuscany. On our first night in Tuscany, we stayed at the Agrihotel Elisabetta. The owner’s son took us on a private tour of the wine cellar, and served us some of their wines along with some traditional Tuscan appetizers. The next evening, we got to meet the owner of the property. He is a self-made multi-millionaire, but very hospitable. He talked to us about his career starting out working in a restaurant kitchen, graduating to chef, finally starting his own restaurant and growing that to multiple restaurants before opening a hotel. He now owns several hotels and restaurants in several cities in Italy. At the Agrihotel Elisabetta there was an open air patio area (about 200 feet long by 75 feet wide). I looked up and noticed what looked like a mini-version of tank tracks laid just inside what looked like a tongue and grove construction between the inside of the roof and the outside (upper side) of the roof. It was a retractable roof over the whole patio area. Later that night when the temperature dropped, I got to see it in action when they closed the roof panels. In the dining area of the Agrihotel Elisabetta, there were hundreds of pictures of the Italian and US celebrities the owner had met or who had visited his restaurants. The meals were amazing. The wine was enjoyable. And, we started to develop friendships with some of the other 14 people on the biking tour. Every night was great food, wine, and storytelling about the day’s bike ride; what we saw, where we missed a turn, what interesting stuff we found in the Tuscan towns. The next night, VBT arranged for the tour group to have dinner at a nearby resident’s home; Chicca. Chicca (pronounced key-ka), is a chef, author of a cookbook, and a sort of celebrity chef of local renown. She opened her home to the 16 of us in the bike tour group and allowed us to help prepare the meal. There were folding tables set up in her living room. Plain but nice table clothes laid out, with a pitcher of local wine on every table. (That is not something one would normally experience on vacation). Chicca’s home was apparently typical of the area, built shortly after WW2, small but comfortable inside, family pictures on the wall, paintings Chicca and her daughter had painted. She had a wonderful porch out back and some acreage outside with plants and gardens. It was an experience I won’t forget. Two days later we had lunch (these were all part of the VBT bike tour package) at a wonderful olive farm. The owner and his two son’s gave us a 15 minute history of his farm and how they had resurrected it from previous owners 40 years ago and made it into an internationally known prize winning olive oil producer. The owner spoke in Italian, and Franco, one of our bike tour guides, translated. We bought a couple of small cases of their olive oil and brought it back. VBT saved the best for last. The Agrihotel Montebelli was the most beautiful and lush place we stayed. The farm was a little over 250 acres of olive trees and vineyards. There were majestic views over the valleys below. There was a 500-year-old Oak tree at the highest point on the property with benches in its shade. Teresa and I took a bottle of wine and did the climb one afternoon with Carla. Carla was on the bike tour with her friend Janet. Carla was in her early 50’s. She was in great shape, but she said she was not an avid biker. We made friendship’s with another couple John and Patty. John is an avid biker, but Patty was not. John said he does 40-50 mile bike outings about 3-4 times a year. His wife Patty just rides with him occasionally and never for those same distances. There was a group of three couples from Burlington Vermont. One of the wives, Tia, a mother of three boys all of whom were of college age or older, had not ridden a bike in years. If you asked Tia and her husband Peter what the best part of the trip was, I am sure they would say biking in Tuscany. Teresa and I enjoyed the biking. It was not overly difficult. The first full day in Tuscany was a long ride, 33 miles I think. I had never biked that far in a day. At the end of the day, I was tired and little bit sore from sitting on a bike seat, but I was fine the next day (it was a shorter ride the next day 27 miles I think). There was one day where we decided to take the van from the morning starting point to the mid-morning break location, because our guides said it was 16 kilometers of uphill to get to the mid-morning break location. Then it was 18 kilometers of downhill from that point and level riding for the rest of the trip that day. It worked out perfect. The downhill was a blast, and we still got to see all the towns and sites from the break location on. Our guides Franco and Matello were wonderful. They knew the terrain. They quickly gauged the capabilities of everyone in the group. And, they did everything they could to make each day’s experience good for each individual. I can’t say enough about how wonderful Franco and Matello were. Around 6:00pm on our first might at the Montebelli, the owner Allessandro took the whole group of us (16 in the bike tour and our two tour guides) up to his “outdoor office.” It was a group of benches strategically placed at a high point on the property looking out over vineyards on one side and olive trees on the other (picture attached). Allessandro and our guides opened a couple of large coolers and pulled out plates prepared with prosciutto, melon, bread, and olive oil. They opened several bottles of Allesandro’s top wines and served it too us. All the while Allessandro is describing the history of Montebelli. His parents were from Italy, but travelled the world. Allessandro was born in South Africa. At some point, I think he said about 25 years ago, they decided to go home to Italy and bought the property in Tuscany. Allessandro said the property was in very bad shape when they bought it, and it took 5 years before they had grapes of decent quality to produce wines. At that point, I looked at one of the bottles of wine he had served us and recognized the label Fabula Riserva. I told Allessandro that I had tried his wine before, but I had no idea it was grown in Tuscany at Montebelli. He said he only had four distributors in the US. He mentioned Total Wine, and I said that is where I shop. He said I have been to the store in Chantilly Virginia. I said that is where we live. Montebelli was our favorite spot. Great food, good wines, ample breakfasts, and beautiful property that we could wander about. Teresa spent a few hours at the pool one afternoon. I enjoyed the sauna one afternoon. Montebelli has horses available for riding. Our room at the Montebelli had an amazing view of the vineyards and mountains in the distance. The first night at Montebelli, they prepared a huge barbeque with all kinds of locally grown and raised foods. The chef personally served all the guests dining that night. It was very memorable. I didn’t want for anythng on this trip! Every last detail was taken care of by VBT and this made it possible for me to truly maximize my relaxaton time. One of the more memorable times of the trip was cycling in the pouring rain to our destination, our tour leader still smiling and wanting to know if we wanted to stop for gelato. Now that’s spirit! Great biking, food and cultural attractions. This was a great tour for both first timers and more experienced riders. The food was outstanding and the cultural attractions, such as the wine tasting and olive oil mill were great. We loved the agri-hotels and found this a fabulous way to get to know more about Italy. Good value and well coordinated. Nice way to travel. Good trip for the money. The trip leaders Luca and Timothy made me feel safe knowing they were always present in case something went wrong. They were friendly and fun. The agriturismos and the hotel were comfortable and clean, though the air conditioning was poor considering the heat wave in Tuscany at the time of our trip. Food was average to good, though not excellent, except for the lunch at the olive oil mill. I didn’t prefer to always have to sit at a group table since my partner and I are not extremely extroverted. We would have preferred having the “option” of sitting at the group table for dinner, for example. Anyway, all in all, good trip. I would do one again but not for my next vacation. This was my first VBT vacation. Always a dream of mine to travel to Italy. I had the opportunity to cycle the Tuscany Coast with my mother this summer. Our leaders were incredible. The itinerary couldn’t be any more spectacular than it was. The best way to see Italy is by cycling. It was beautiful! We stayed in the nicest hotels, ate delicious food, rode through the most stunning countryside and coast lines I have ever seen. I would do this same trip again and again. Definitely the way to travel and I plan on doing another trip next summer. Thanks VBT for making my first impression a lifetime of memories and things to look forward to on my next trip. Our Tuscan Coast adventure was the perfect getaway this last June. VBT is top notch and our tour guides really went out of their way to make this trip a memorable experience. Everything was well organized and no details were overlooked. I was anxious to try a group travel experience as we normally do self-guided tours. I can easily say VBT lived up to all the positive reviews you see on their site. We will definitely use them again in the future as we are already planning our next trip!! Bravo VBT!! This was my first VBT trip and I would not hesitate to take another. Not only was it a great value, but the experiences were amazing. While on the Tuscan Coast, we had a good blend of biking and relaxing. We biked the “roads less travelled” through endless fields of sunflowers, vineyards and olive groves and through the Pine Forest along the Tyrrhenian Sea. The food was all it was hyped up to be and more so be sure to work up an appetite! One would think that it would be hard to leave all this beyond, but then we motored to Rome for an experience of a totally different kind. To stand in the middle of the Roman ruins, with an extremely knowledgeable guide, was like reliving history. Everywhere you turned, in the entire city, you were surrounded by amazing architecture. Certainly the Coliseum, the Vatican and the Trevi Fountain are more than you could ever imagine! VBT even provided guides for the post-trip experience. Although we lost the use of our bicycles in Tuscany, our hotel was centrally located and we walked everywhere! The city really comes alive at night; dinners, in the open air, allowed you to watch all that was going on around you. VBT was first class all the way. The guides, Andrea and Mateo, never tired of our endless questions for which they always had the answers. So, if you want a vacation that is affordable, active and diverse, this is the trip for you. Thank you VBT for helping me explore the Tuscan Coast and Roma. This tour was everything I hoped it would be! What a wonderful experience – from the friendly and knowledgeable guides to the beautiful and comfortable accommodations to the delicious and plentiful food – it was all above and beyond my expectations. The bike riding through the Tuscan countryside was spectacular; everywhere I looked there were gorgeous views and scenery to behold! The wine and olive oil tastings and the personal cooking class were great experiences as well. I am a relatively new cyclist and with the support and instruction from our wonderful guides I was able to complete most of the routes making this trip a great confidence builder! My friend and I also took the pre and post trip extensions to Florence and Rome. Florence is a lovely city and I would enjoy visiting again. Rome was a bustling metropolis with many historical sites to see. I would highly recommend this tour! The best vacation I ever have taken. My fiancée (we got engaged on the trip) and I have travelled all over the world. The VBT trip to Tuscany exceeded our expectations. Beautiful scenery, great accommodations, wonderful meals, knowledgeable tour guides. I know I sound like an ad for VBT, but it truly is how we felt. Thank you so much. We thoroughly enjoyed this trip, which was our first with VBT. The accomodations were comfortable, casual, and in beautiful settings. The included meals were typically quite good, and of course the selection of wines in the region is plentiful. The biking portion of the trip offered some more challenging options for more experienced riders, but everyone in our group felt they could participate in each day’s ride. And finally, our Italian guides, Paolo and Matteo, were a joy to spend time with, very diligent in their duties but also very informative and friendly. They are clearly proud to be Italian without making clients feel bad that they’re not! Several days had excellent routes on back roads and through the pine forest. Hotels were top-notch, and the trip leaders were excellent. But one or two days had heavy traffic for stretches of the route, and only two or three of the towns made for outstanding stops. We love a vacation where you just show up and someone else really takes care of you for the week, while you get to be physically active and engaged and learning the whole time. The VBT trip was just that – the tour leaders (Marco and Sylvie!) were warm, knowledgable and organized, the routes were varied and at times challenging but never impossible, the food and wine terrific of course since it’s Italy, and the activities thoughtfully presented. For couples with mixed abilities, the leaders were adept at making each feel they had good options. Perhaps most fun of all was meeting the other people, and sharing this experience together. Definitely a wonderful break from a busy, overscheduled life! A bike tour is the way to go. Beautiful routes with easy maps and directions. A variety of settings for lodging and excellent food choices. Our tour guides were helpful, knowledgeable about the area, and quite entertaining. Overall an excellent experience and great way to see the countryside. Looking forward to another VBT trip. Great exposure to Italian culture, wine,food and landscape! What a great way to explore the Tuscan Coast! I went on this tour with my dad who turned 73 the day we landed in Florence. After a great first day exploring Florence, we met at noon the next day and our tour began. There were 18 people on the tour plus our two tour guides, who took turns biking with us one day and driving the sag van the next. Our guides did an amazing job of making sure everyone in the group was accounted for and on the right path (no one got lost incidentally). The routes were very well designed and a perfect length each day. I truly enjoyed meeting our new friends (including both guides and all 16 other guests) and had a great time with my dad and am left with nothing but great memories of the entire trip. Delicious fresh food expertly prepared and served in a casual home like atmosphere. Great wines and olive oil from local vineyards. The owners of each hotel were gracious and made us all feel welcome. Just the right amount of biking everyday. For us that meant breaking a sweat, burning calories and stimulating our appetite’s for the next guilt free great meal. Great Gelato every afternoon. Our tour group looked forward to gelato so much that we started calling the group Team Gelato! We are now convinced that riding a bike is the best way to witness the breathtaking views of the Tuscan countryside. There seemed to be a magnificent landscape or quaint village around every turn and over every hill. The memories of the people we have met on this vacation will last a lifetime. Starting with the VBT guides, Tim and Matteo, they truly bonded with our group. In fact our group chipped in and gave them each a thank you gift for their outstanding effort. These young men were enthusiastic, knowledgable, and hardworking. Lastly, the members of team gelato are now our friends. We will stay in touch. Also, we now understand why so many people have been on multiple trips with VBT. We’re already talking about where we want to go on our next VBT trip. The best way to visit Tuscany. VBT and our leaders took wonderful care of us on our visit. Thte group we traveled with were happy, seasoned, energetic travelers. All the food and wine was memorable. This trip has my highest recommendation. Very good tour. Accurately described (easy/moderate). The routes were great--scenic and just challenging enough. The Tuscan Coast tour is a great trip. The cycling is rewarding–physically and visually. The side attractions (winery, olive oil, cooking) were interesting and culturally varied. And, even though you don’t want to learn it, “Ho bucato” (I have a flat tire.) is a useful phrase. The trip leaders were warm, helpful and generous with their experiences. The other riders in our group must have been hand-selected for their friendliness. We had high expectations for this trip and were not disappointed. Tuscany is beautiful from the seat of a bike and our leaders made sure that we had everything we needed to enjoy every day. Can’t wait to take another trip. My husband and I celebrated our 30th anniversary with the Tuscany Coast trip and he raved- “it was our best vacation ever! !” It was!! Our guides were friendly and knowledgeable, the people on our trip were all great with the same preferences,the accomodations were excellent not extravagant, the food was awesome and just the right amount of biking for everyone!!! May was an excellent time to go as far as temperatures and sunny skies!! The flowers were worth stopping for to photogragh! We loved our visit with Chica to make gnocchi and sauce. I have told our friends and a few have taken our advice and also enjoyed their times. They want to go on another with more of our friends! Now we just have to save our money!! VBT ROCKS!! 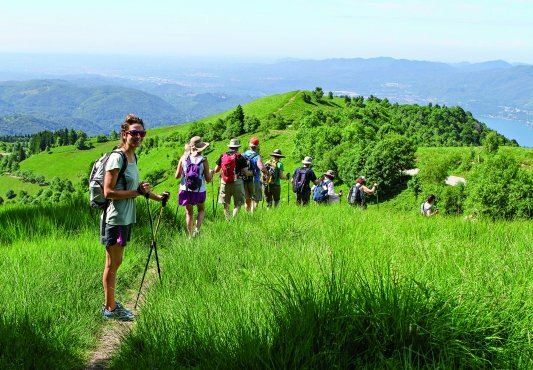 A wonderful way to explore Tuscany and it's marvelous shades of green. From the pre trip in Florence to the last day in Rome this trip had it all: great food, great accommodations, great guides( Franco and Timothy), great attractions ,and wonderful people. The rides were spectacular. Of all the trips I have taken they were some of my favorite. It is amazing that VBT can continually come up with such great trips. The pre- and post-trips in Florence and Rome were marvelous, serving as bookends to the bike ride in Tuscany. When I returned to Chicago a neighbor asked me ” could you keep up”?, since I was the oldest (74) biker. I assured her that I not only could keep up I led the group of 19 at one point, preferring to be in the middle to take photos. The new bike fit me perfectly, was very comfortable, and every morning, before we were up, the two wonderful leaders, Tim and Christian, checked all our tires and our water bottles, adding a slice of lemon each morning! Two of the top cultural events for me were the wonderful lunch at a small, outstanding, olive oil producer, where we tried 4 different oils and ate a great meal. The other top event for me was our going to a fine Italian cook’s home for her to teach us about Italian food preparation, then eating all that we helped prepare. I loved the whole 2 weeks! This tour met all our exectations and more. Althought my wife and I always wanted to take a bicycle tour in Europe this was our first attempt and we were uncertain on how to pick the right tour offering. We were very happy with the result. All elements came together and provided an experience that went beyond our expectations. Italy in April and the Tuscan coast locale were beautiful. The route and attractions along the way provided many satisfying and interesting details. Lodgings were pleasant and comforttable and offered excellent dining. The other members of the tour were exceptionally fun and engaging. Topping it off were our two gudies who provide an expert combination of easy going humor, knowledge of the area and seemingly effortless assistance with the bicycles, luggage,etc. all along the way. Made my first trip abroad a fabulous experience. There were only a couple of surprises that I mentioned to the trip leaders and they said I’d need to put them in my review. The “lunch” stop on the way out to the first hotel from Florence was not described as a gas station market. Had I known I would have packed a lovely lunch from one of the shops in Florence and brought it with me on the bus, instead I waited to eat until we were at the hotel. Very disappointing. This tour was a great cultural experience and just enough exercise to eat whatever I wanted! Our guides were full of fun and practical information about Italy and the route. Our group was a diverse and very well rounded group of people and from frequent VBT travelers in the group this is a common characteristic. We felt every day was full but not over programmed. The accommodations were superior- definitely nicer than I would have booked but we loved them. And the food…..maybe it was Italy but it was wonderful and generous portions. VBT took care of everything! It couldn't have been more perfect vacation. This was truly a beautiful and stress free vacation. All of our transfers were taken care of, we were given guidance for our extended tours and our accommodations were unique and lovely. The rides were breathtakingly beautiful. It couldn’t have been more perfect vacation. Fun trip. We met interesting people, saw beautiful scenery and had a great time. With the exception of the Elisabetta, the accommodations and food were stellar and the guides were awesome. I chose to ride the Tuscan coast in that I had ridden the Tuscan Hills, which I LOVED, but didn’t feel that I wanted to work so hard this time. This was perfect for me: the days were filled with riding and delicious meals. One of the most gorgeous, serene days was spent riding through a pine forest. Another day we had the most delicious lunch of ribollita and papa pomodoro. As a cook and a bike rider, my two passions were well tended to. I would recommend this trip to anyone. I love not having to think: all I had to do was pedal (on a great bike), talk to the nice people, eat and drink wine. What a treat it was to be whisked away to Italy with VBT taking care of the little details. The 2 authentic “agritourismos” and the beach-front “luxury” hotel added special flavors to the relaxing yet active Tuscany bike trip. Florence was a treasure to behold. Rome felt as exciting as mid-town Manhattan on speed. We hit a patch of bad weather and even that didn’t really spoil the experience. I can’t stop thinking about returning to Florence and Tuscany. Technology suggestion for the future: GPS devices with bike directions and verbal turn commands…although getting a little confused in Tuscany had its own charm. I absolutely loved this tour. It was the best riding as it had challanging hills as well as flats. I loved the different terrains of this ride. I like a little challange and we had that with some of the hills. Italy of course is beautiful. Our tour guides Timothy and Alexandra were the absolute best and they worked so well together. I would love to do another tour with them. I also have to complement VBT for the choices of hotels. They were all beautiful, different from anything I experienced in the U.S. and the food at these hotels was great, with vegies fresh from their own gardens. 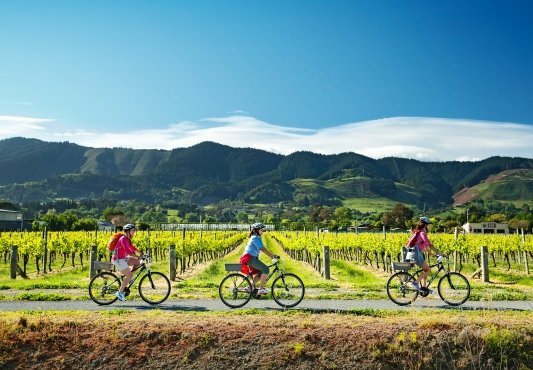 The perfect blend of scenery, biking, culture and great food and wine. I have had the good fortune to enjoy three VBT bike tours to date. My recent trip of the Tuscan Coast was amazing and definitely one of the highlights of my life. The hotels offered everything one could want after a day of biking the Tuscan countryside-spas, pools, comfortable rooms, great food! 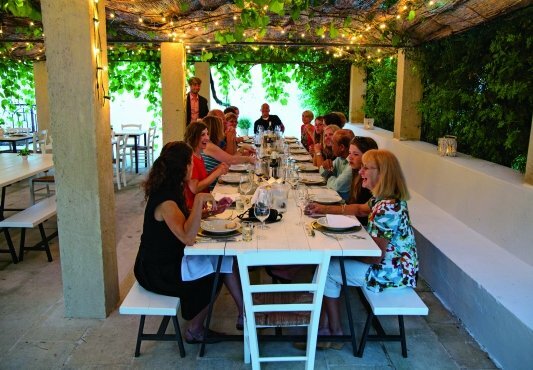 The proprietors went out of their way to make us feel a part of the family from Luigi’s tour of his winery and special dinner that followed, to lunch at the olive mill and Alessandro’s welcome on the hills overlooking his olive and wine groves at Sunset. It is the trip leaders that make the VBT bike trips so special with their knowledge of the area, love of biking, attention to detail and gusto for life. Matteo and Franco brought all of these attributes to our trip and more. They are a great team! When 18 PEOPLE GET ALONG FAMOUSLY, when two leaders are tirelessly patient and helpful, and you discover that the first break was not really an early lunch, but a fruit and nut feast, what could be better! Extremely well organized rides, fun diversions, and scenic sights, meant good memories and weight reducing exercise! Don’t doubt, do it! This trip is for those who enjoy life and beauty. It’s alll here- the wine, cheese, olive oil, organic veggies, chicken and fish. The cycling is challenging enough and one is rewarded with jaw-dropping vistas. This tour exceeded my expectations. This was my first group bicycle vacation. It was well organized and exceeded my expectations. The trip leaders, Paolo and Christian, could not have been more supportive and enthusiastic. They were excellent at giving individual attention to all 19 people in our group. The lodging accommodations were excellent and much better than I expected. There was a nice balance between riding time and personal time on the trip. I can’t imagine a better way to get to know a new place…and Tuscany was absolutely wonderful to experience on a bike! This tour was excellent! It surpassed my expectations! This was my first VBT tour and I thoroughly enjoyed each and every aspect of the tour. Our trip leaders complimented each other very well, and I’m convinced they are the reason this was such a successful and enjoyable experience! They went above and beyond to accommodate each and every guest! The tour itself was well thought, well planned and well executed. Our hosts were animated, generous and provided us with a great deal of history of the Tuscan region of Italy. Thank you, VBT, Allesadra, and Timothy! Grazie!! What an amazing tour! Great trip leaders, fantastic experiences and sights, amazing food & lodging…a total home run by VBT. No, I don’t work for them, but I can say with confidence that I’ll travel with them again. The more training you do ahead of time the easier the biking will be, but at 25-50 miles per day it’s not a huge deal even if you don’t. We rode the more challenging optional extra loops some days, and took the shuttle for an earlier arrival (i.e. nap) other days. Hey, it’s a vacation not a race! Tuscan countryside is among the most beautiful places in the world, and the route sheets provided by VBT take you mostly on small back roads with minimal traffic. Perfect for gazing over the olive orchards, vineyards, sunflowers, or the sparkling sea. The accommodations are just right, upscale but not snooty. The food is incredible and the hosts at each agritourismo are both gracious and appreciative for the business. And don’t miss the incredible homemade soup at the olive oil farm! One of our best vacations ever, and a very good value as well. Cannot say enough good things about this company, their tour leaders, and the overall experience. I loved all the independence the tour allowed for as well as scheduled activities. It was all so beautiful and so fun, great chemistry. Beautiful countryside. so fun to explore the various old and rich cities. Great scenery, variety, fun guides, and unforgettable trip! I loved the landscape on this trip from Tuscan countryside with wild flowers, vineyards, olive tree groves to beautiful coastal towns and sparkling ocean. Our guides were a lot of fun and informative on this history of the area. The hotels were comfortable and we had wonderful afternoon time to relax and enjoy the pools after a rewarding day of cycling. I particularly loved cycling through the canopy forests! A cooking class and visit to an olive oil farm were memorable meals. I felt very taken care of and loved the cycling route and scenery. I would highly recommend this trip. It was the best way to celebrate my 60th birthday with my best girlfriends!! The pre-trip in Florence, the cycling portion of the trip and the post-trip in Rome were all excellent. The trip leaders were entertaining and informative and took care of all of the group’s needs (particularly gelato) quickly. The agenda and routes selected were scenic and allowed some time for dawdling and exploring. The small towns we visited were beautiful and timed such that we were able to take advantage of what they had to offer. The meals provided (breakfast, lunch or dinner) were all tremendous. It’s a good thing we were cycling so much! The personal feel the trip provided by the owners of the agriturismo hotels, the olive oil farm, and the meal preparation evening all provided insights and stories that enriched the experience. Leaders were great. Provided good info, were professional and entertaining. Loved the small towns especially the one where we had the picnic lunch. The countyrside, biking roads and lodgings were excellent. I want to commend our tour leaders on an excellent job. Alessandra and Andreas were fantastic. They were pleasant, helpful and informative throughout the trip. They accommodated all of our needs and we’re happy to do the little things that made a difference. They also tried very hard to educate us on the culture, geography and the people of Italy. They really made the whole trip enjoyable. All in all, it was an excellent trip for us. Our sixth bike trip and clearly the best. The trip leaders were a perfect combination of competence and fun. The locations were breathtaking and the food was the best we have had. This trip is perfect for all levels of bikers. There were 4 “serious” bikers of the 18 on the trip and everyone had a great time, even those who hadn’t been on a bike in a while. If you want to experience the beauty, food, wine of Tuscany, take this trip! Loved the places we visited and the Guides! It was a fabulous tour! Food was excellent! The vineyards, olive farms and chef’s kitchen visits were unique and really fun experiences. The riding was moderatly difficult but an overall fabulous place to tour. I just wish they had put us in better hotels. That did take away from an overall excellent trip. The trip leaders went out of their way to make us happy and showed us a great time! I’d love to go back to Tuscany! The Tuscan Coast is the perfect trip — well paced with just the right balance between time on the bike and time to explore and relax. The scenery is amazing, the food and wine delicious and bountiful, and the hotel settings, hosts, and guides truly memorable. It’s everything we have come to expect from VBT! This trip was a wonderful combination of culture, scenery, food and cycling. Our group was filled with interesting and diverse people, and the guides were good natured and knowledgable. Although Rome and Florence were filled with tourists, much of the rest of the trip we were in quieter locales, with mostly European tourists. The food was fabulous , and the gelato unforgettable. The cycling was a combination of just right, with a few challenges. I am planning to continue my travels with VBT. This tour is a wonderful mix of exercise, scenery, experiencing the Tuscan country and sea shore and small towns and biking with new acquaintances. Wonderful trip. The guides were excellent and worked hard to make the trip enjoyable and meaningful for everyone. Franco clearly loved Tuscany and knew it’s history, culture and people. He was clearly at home. Carlotta loved her job and is an incredible rider. They both worked well together-and worked hard to make the trip memorable. Franco knew everyone everywhere and it made me feel at home each place we stayed. What a wonderful way to see the beautiful countryside! Great food and wonderful hospitality! I found this trip to be a wonderful bike experience! The bicycles were very nice but I think an odometer would have been helpful. The food was outstanding and everyone in the hotels and agriturisimo were very friendly. This was truly the best vacation I have ever been on. From the pre trip in Florence, through the fabulous biking in Tuscany, to the post trip in Rome, this trip could not have been better. Our hotel in Florence was clean, comfortable, had a great breakfast and was close to everything. We arranged a tour with Simone through VBT and were not disappointed. He was knowledgeable and funny. In our time in Florence we were able to see the David in the Academia, the Uffizi,the Duomo and its museum and climb to the top, the Pitti Palace, the church of San Croce, the Ponte Vecchio, the Bargello museum and the Palazza Vecchio among others sites. We had plenty of time for shopping, people watching and of course, eating. Once the bike tour started, we could not have been in more capable hands. Timothy and Andrea took care of everything. We had a beautiful ride up to Casale Marittimo where Timothy and Andrea prepared an amazing picnic lunch. I felt they had become my friends after only a day. This was reinforced when I had an accident with the bike after lunch. It was a hole in the road and I missed seeing it. It could have happened anywhere. I did require a trip to the local hospital. Timothy helped my husband and I through the whole process and communicated with the hospital staff. Andrea came to pick us up that evening and helped me pay my bill since it was all in Italian. The next day we road to Bolgheri and on to the Tombolo Talasso Resort. The scenery was spectacular, from the Mediterranean Sea to the Pine Forest. Timothy even went on an extra ride with my husband after we finished for the day and they were able to see the BMC cycling team practicing on the same roads we had been riding that day. Amazing, but the day wasn’t over yet as that evening we were treated to a cooking lesson and a delicious traditional Tuscan meal made with fresh home grown ingredients at Chicca’s home. The riding got better ever day as we visited an Olive Oil Mill and then went to our last hotel, the Montebelli. Another wine tasting, (we had one at the the first hotel, the Agrihotel Elisabetta) hosted by the owners and then time to relax at the pool or get a massage. The farewell dinner was beyond great. Everyone enjoyed themselves and it was hard to say goodbye to Timothy and Andrea.They had looked out for me the whole time, always making sure I felt ok to keep biking. The transfer to Rome went smoothly and then we had a great tour guide, again arranged through VBT, take us on a tour of the Pantheon and the Piazza Navona. Nicola was so much fun, we took a second tour with her the next day to the coliseum and the Roman Forum. On our last day we were able to get into see the Sistine Chapel and Saint Peter’s. We stayed at the Visconti Palace. It was so convenient that we walked everywhere we needed to go. I don’t have adequate words to describe how wonderful this trip was.I highly recommend this trip. This trip is a great combination between Tuscan hills and coastal towns. This was one of the best trips I have ever been on. We did the pretrip in Firenze. We were meet at the airport on time and taken to our hotel. A tour guide gave us a most informative briefing on Florence which relived our apprehension about being in a foreign country. We spent two great days in Florence. The agroturisimo hotel Elizabetta has great food and ambience. Our tour guides Franko and Sylvia were knowledgeable and fun. They were always ready to do your special requests. The combination of riding in the forests, along the coast, and then in the hills and wineries of Tuscany was mind boggling. We had great food and better wine. We made some life long friends along the way. This tour was amazing! My best ever. Everything was A+! The tour guides were very friendly, fun, knowledgable and at our disposal at all times. They were so much fun! The tour was fabulous and every hotel that we stayed at was better than the one before it. All the activities that were planned were fun and interesting and I learned a lot. The food and wine was amazing! I have already recommended this tour to anybody I talk to. Alot of something for everyone! Great Art, Food, Exercise, Fun! TheTuscan Coast Trip had it all. Wonderful tour guides, beautiful scenery, great local people. Florence & Rome were icing on the cake! Being 68 I was somewhat reluctant. Thank goodness I overcame my concerns because this turned into one of the best vacations I have ever experienced. The total package was exceptional and I actually felt badly when it came time to say goodbye to the people and staff we now embrace as friends. VBT Tuscan Coast exceeded expectations! My friends and I are still talking about the unbelievable time we had in Tuscany. Each morning started with a buzz of excitement about what the day would bring, like opening a surprise present! We could challenge ourselves with each ride if we chose to, and if not, our tour guides, Luca and Paolo, were always close to assist. They helped make the trip that much more enjoyable, with their knowledge, encouragement and introductions to our various hosts and hostesses. All senses were on overdrive; the scenery was breathtaking, the food and wine delicious and the Italian people so gracious. I continue to tell anyone and everyone about the experience, it was that good! Small, delightful, off-the-beaten track towns and adventure! We got it! Gelato. amazing Tuscan food, photo opps, history, language lessons, hubby cooking school! This was one of the best adventures we have been on…looking forward to our next VBT tour. trip was through the beautiful Tuscan countryside, with visits to the sea. it was fun staying in 3 different venues, each having their own flair. Paulo and Claudio, our tour leaders made the trip even more memorable; they continually focused on their guests and how to make the tour more memorable. we really enjoyed the pre/post options of Florence/Rome. Would use VBT again. This was the best vacation ever. VBT and our tour guides took great care of us. From start to finish this was a top-notch, well organized, wonderful experience. Our guides, Oliver and Franco couldn’t have been better. They started as our guides and ended up our friends. They did a magnificent job. The hotels, meals, bikes, other ammenties were first rate. passed the brochure around the office. You might see some of them as well. Keep up the good work. We enjoyed this tour but not as much as the other 3 VBT trips we have been on. The VBT guides, of course, were second to none. VBT continues to have outstanding guides! Of the 3 accommodations on the trip, 2 are at agriturismos and 1 is in a small town. Although both agriturismos were very nice, we think it would be better to have only 1 agriturismo stay since they are not convenient for walking to a village, something we have enjoyed on other VBT trips. Both Florence and Rome are well worth seeing! Excellent routes and and great amenities. Even though it started out a little damp on this trip, it was a fantastic tour. The riding options had something to suit every taste from the beginner to an experienced rider. The longer options were wonderful because I could just get out and ride with little or no traffic and enjoy the scenery. I truly didn’t want the trip to end. The hotels were excellent–great accomodations and friendly, helpful staff. Andrea and Alessandra went out of their way as tour leaders to see that everyone enjoyed the riding experience. And the food! It was so good. The highlight was the dinner we helped prepare at Chicca’s home. That is one of the best “extras” I have experienced on a VBT tour. I could do this trip again! The Tuscan coast trip provided a unique adventure every day. The Tuscan coast trip gave us the adventure we were looking for. The riding was was typical of our rides in the hills of Vermont. The few climbs we encountered were comfortable at the temperature (70 F). The bikes were new and well cared for by the trip leaders. We were very pleased with the lodging and locations of the agri-hotels. It was nice to be able to interact with the owners of the vineyards and olive orchards. The food was fantastic at every stop, who can say no to gelato after a few hours in the saddle? We would highly recommend this trip to all who are looking for an intermediate type trip. There were a few optional rides that gave us a bit more intensity than the original rides and were well worth the climbs. I can not say enough about our trip leaders and their effort and desire to ensure we were well cared for. VBT is an experience that will not let you down. Amazing food, great routes, excellent hotels…but the best part was the tour guides. Christian and Timothy were the best. They just take a great tour to the next level. Well done. Relax, learn, exercise, eat! What more could you want? The Tuscan Coast tour was our first biking tour. In fact, we hadn’t even been biking that long. The trip leaders took great pains to make sure we were comfortable and energized every step of the way. I will confess that the more “moderate” portions of the trip were pretty challenging for bikers who weren’t much more than novices, but in the end we made it up every hill! The accommodations were relaxed and comfortable – a great way to see and stay in places more informal than a tourist typically encounters. And the scenery is everything Tuscany is known for. This was a great group trip with all the girls. We had a wonderful time in Italy, touring all the majestic towns, great meals and the accommodations were perfect. I went on this trip with my dear friend Leo. We are both in our upper 60’s so we thought twice if this would work out. We loved the trip. The routes were well planned, accommodation was lovely & overall the trip was very well organized. If I had one suggestion, it would be to let people know that in addition to the gel seat supplied you could ask for more padding. This was a big plus! 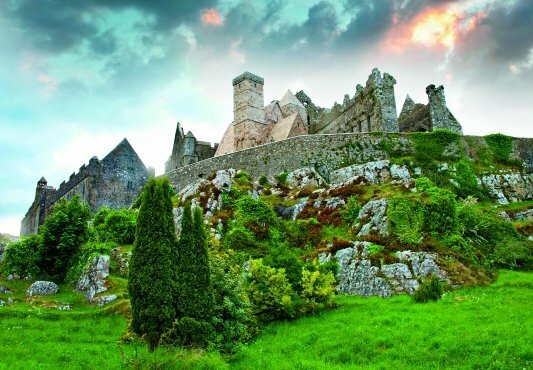 We liked the trip so much that this June I am headed to Ireland for another “easy to moderate” trip. Taste all that Tuscany has to offer! This was our second VBT tour but first overseas cycle trip. The combination of history in Florence and Rome, combined with the learning experience of wine and olive oil making, plus throw in the beauty of the poppies, umbrella pines, olive trees, rolling hills and castles on the coast…was everything we wanted and more. Paulo was an excellent guide…the agricultural hotels quaint in decor while offering delicious food and wine. I loved my Fuji bike that VBT provided that I bought one upon my return to Nashville. Highly recommend for the novice or experienced biker, as you go at your own pace…JUST DO IT! As only VBT can do! Italy is Italy and wonderful. To experience it away from the typical tourist format, VBT is the way to go. Local and very well-trained guides, attention to details and safety allows you to have a true immersion experience. I cannot think of traveling any other way or with any other company. I have already signed up for my next trip. Beautiful scenery, absolutely delicious food and wine, and wonderful new friends to share it all with. Thank you VBT and especailly our guides Andrea and Allesandra for a trip of a lifetime. Beautiful scenery, great food, and wonderful guides. My husband and I enjoyed every aspect of this tour. We had great guides, who went way out of their way to please, as well as delightful traveling companions. It was one of the best vacations we have ever experienced. Touring by bicycle allows you to enjoy the sights & sounds of Tuscany at a slower pace. VBT supplies wonderful lodgings with the best of Tuscan dining which is such a great reward after a day of cycling. There is care taken to introduce the group to various elements of Tuscany as well. One of my most memorable travel experiences! Tuscany .. heaven on earth? From seashore to hilltop, Tuscany is a beautiful land dotted with olive groves, grapes, sunflowers and waving fields of wheat. Even the trees along the roadways seem to have been planted with an artist’s eye. On our VBT tour of Tuscany we enjoyed remarkable vistas, quiet forests, and the good company of other happy travelers. Days on the road were rewarded by overnight stays at ‘agri hotels’ in vineyards and olive groves, all equipped with large swimming pools (perfect for cool-down lap swims). Evening meals are served in courses, with a remarkable variety of choices (pick what you wish from a freshly prepared buffet). But our BEST meal? That was a freshly prepared pasta with bolognese sauce served on the patio of a olive farm, overlooking miles of scenic country. Our guides on each-and-every VBT tours back to 2004 have been very attentive and capable but our Tuscany guides, Paulo and Andrea were ‘something special’ in their teamwork, humor and consideration for their clients. This was my second VBT tour and my second, across the board five star rating for VBT. Great biking, with all the hassle taken out of it. You don’t even have to climb those hills if you don’t want to, but I’ll bet you will since the difficulty ratings for the tours are quite accurate, helping you to make sure to pick the right trip. Our tour guides were knowledgeable, fun, and hard working to ensure that we were truly on vacation. This particular trip, The Tuscan Coast, is characterized by beautiful scenery and has the added benefit of exceptional Italian food and wine. VBT is an extremely well organized company and, simply put, has this down! This tour had it all! This was my first trip with VBT and I anticipate it won’t be my last! Everything from the trip guides, to the other travelers, hotels, meals, scenery, the quality of the bikes, and the rides, were all outstanding. I have already recommended VBT to friends and family. Fantabulous vacanze along the Tuscan Coast. Great hotels,beautiful scenery, delectable meals, and fine wines everyday- what else can you want. Superbly organized pre and post excursions with great tours and restaurants recommended. The biking was not hard, but averaging 30 miles a day meant you had to be in fair shape, and a few challenging hills helped the appetite. The guides were fun and very informative. My wife is not an avid cyclist, but even she felt this was the best vacation ever, after our honeymoon. We can’t wait to go on another VBT bike tour. We felt the price for everything was extremely reasonable. From the breathtaking pre trip in Florence, to staying at top of the line hotels, to savoring gourmet meals and the best wines, to cycling past sunflower fields, olive groves, and vineyards, to traveling with and meeting the most wonderful people…this was indeed the most magical experience of a life time! My husband and I went on the VBT Tuscan Coast trip with great expectations, having done a VBT trip to Provence the previous fall. VBT did not disappoint! From start to finish, we loved the rides, the fellow travelers, the guides, the food… We came back with a great appreciation and respect for Tuscany, and look forward to exploring more of the region at some time in the near future! The experience was just what we were expecting and the accommodations, cuisine and company were perfect. One thought I would like to offer: Perhaps combine a biking tour with cultural exploring tour. There are so many priceless cultural treasures in Florence and Rome to see that it seemed we were missing, a once in a life time opportunity by not seeing some of the world’s greatest cultural treasures, perhaps a day of biking and a day of sightseeing. Thanks for a great experience. I would appreciate an email back on this.. comment…….. Thanks for your excellent review! Our customer service manager will be in touch in regards to your recommendations. This was our first trip with VBT, and it was a fantastic vacation. We thoroughly enjoyed every moment. We felt that it was a true vacation in the sense that everything was taken care of. The flights were good; the hotels were wonderful; the biking was awesome; the food was delicious; and the guides were helpful & fun to be with. There was the right amount of activities and free time to relax. The Tuscan Coast exceeded my expectations with its mix of seaside and hillside scenery together with perfect weather — cool evenings and warm, sunny days. I can’t imagine anything feels better than enjoying a lovely al fresco lunch with new friends after an invigorating ride. The local guides shared their personal insights generously to enhance our many cultural activities so I felt that we delved deeper into the “real” Tuscany. And, of course, we tasted many fine Super Tuscan wines and olive oils. A wonderful introduction to Italy! We cycled through beautiful country, stayed at eco-lodges and generally had a fabulous time. Our guides were delightful and lots of fun…but also very protective. We celebrated our 20th anniversary with a bike trip to the Tuscan coast. The trip was fantastic. We opted for the Land/air package and added Rome at the end, VBT organized everything. I typically like to plan my own coming and going, hotels, flights etc. but opted to let VBT organize and they did a great job; made it easy! Our guides Franko and Paolo were wonderful. The Tuscan coast and hills were beautiful. We felt this trip offered the right combo of biking and some time to relax. The hotels and agriturismos we stayed at were very nice, food and wine was fantastic. We will defiantly do another VBT trip in a few years, hopefully with some friends. We recently experienced a trip of a lifetime. We thought we had booked a anniversary gift vacation to see a portion of Itay’s beauty but we got so much more. Every deatil was considered that made this experience worry free. The guides were outstanding with humor and compassion. The biking was great and suited many levels within our group. Where we put our heads to rest at night were wonderful and insightful. I miss our group and our rides. We learned so much from the land and people. Thank you VBT. My husband and I chose this trip to celebrate our 20th anniversary. It exceeeded our expectations in every way. We loved the people on our tour, the guides, the hotels, the cycling locations, the food, and the special events they planned like the olive oil mill and private dinner. We are active MTB’rs and really enjoyed the road bike adventure. Our weather was great with not a drop of rain and the temps were in the 70-80 range every day. Our guides, Andrea and Timothy, were fantastic and were always a step ahead of the group in anticipating our needs. We took advantage of the pre and post-trip extensions and sadly, found out about the 3-day holiday weekend in Firenze too late to plan. The crowds were ridiculous and waiting time on the museums was 4-5 hours. Restaurants were terrific in Firenze and the food during the trip was also very good. We particularly enjoyed the four days we spent at the Agriturismos in Collemezzano and Montibello. There were a few days when it would have been better to have the guides lead through the rapid changes in route, rather than trying to bike and read in traffic, but overall it went well. Between the museum guides, wine and food, we spent an additional $150/day. Great Trip. Great Experience. Fantastic Guides! Such a great way to see such a beatiful countryside! – Our guides were the best! Despite knowing people who have loved their VBT tours, I was a bit skeptical about biking with a group. But I was blown away by every aspect of this experience. The routes, the equipment, the tour leaders, the accommodations, the food, and the special events (wine- and olive-oil tasting, cooking) were all amazing. Needless to say we are already looking forward to our next bike tour and it can’t come soon enough! Excellent trip..Highest ratings to tour guides..Extremely attentive the entire trip Made it a success…Fabulous scenery and events, hotels, meals and riding routes. The Tuscan Coast vacation exceeded our expectations, which were high, and proved to be a terrific bargain. The guides were superb, the meals and cultural events were marvelous, and the biking was exquisite. We’re now looking at possibilities for next year. This was a great vacation. We had absolutely perfect weather, so that helped. The accommodations were all outstanding and the guides were wonderful and did their best to make sure everyone had a good time. The routes were fun and easy to follow. Cooking with Chicca was fun and delicious! All of the biking equipment was top notch. We would definitely do another biking vacation with VBT. We did our first VBT Tour, The Tuscan Coast, in June 2015. I say first because we’ll be doing another. Our guides, the food, the accommodations, the scenery and the biking were all fantastic. We added both the pre-trip and post-trip options and would recommend. We also arranged a few tours on those trips based on VBT’s recommendations and they also were great. They absolutely took care of everything. All of the activities were a blast. We also really enjoyed the others in our group. Beautiful scenery and fantastic food and wine!! The riding was great, but more difficult than I had presumed. Beautiful scenery, charming, fun guides, and great new friends from across the country made our third VBT trip another winner. The Tuscan Coast trip was the right amount of rigor – hard enough but not too hard. Breathtakingly beautiful views. It was a trip we will remember for the rest of our lives. We are so happy that we did the Tuscan Coast bike tour with VBT. Everything about the trip was fabulous. I loved that everything was taken care of (very good for me since I am very busy, as are most of us these days) – the flights, lodging, restaurants, transportation. It was nice to not have to worry about anything. The places that were chosen for us to stay were wonderful. There was also a nice balance between having scheduled events and giving us free time. We did the 2 extra days in Florence and the 2 extra days in Rome. This was great b/c it gave us a chance to explore on our own. The biking routes were beautiful – olive groves, vineyards, La Strada del Vino (amazing). Our tour guides – Franco and Marco – were superb. They were not only personable, charming, and funny, but very good at what they did (making sure we were safe, well hydrated, well fed, and not lost). A huge plus was that everyone in our group was awesome. That was a bonus – to meet all these amazing and wonderful people. It was nice to share this experience with them. The only bad part about our trip was that it had to end. 🙁 I can’t wait until we can do another VBT tour. This was our first trip to Europe. We considered several different tour groups and I am glad we went with VBT. It was an excellent trip. We took advantage of the pre package and loved Florence. VBT made everything so easy. Flights and transfers were smooth. Our tour guides were great, very friendly, informative and fun to be around. They made the trip that much more enjoyable. Tuscan Coast was our second VBT tour; I cannot say enough about our two guides/leaders: Franco and Christian. They made the trip, of course along with the new friends we rode with. I will say that about 90% of the tour was on a road with cars and trucks which was not my favorite, especially when compared to the Dolomite trip that was about 90% on bike paths. Too much attention paid to the road instead of to the scenery which to me was a downer. We appreciate your review! Our customer service manager enjoyed speaking with you in regards to your concerns and was pleased to learn you are already researching your next VBT vacation! This was a fantastic experience! Everything about VBT is first class; from the pickup at the airports, the places we stayed at, the fantastic guides (Paolo & Andrea), the equipment provided, and the directions given to us every day we were continually impressed by this trip. We had so much fun that we are looking to book another tour with them for our 41st anniversary. I loved everything about this trip, except the time spent in Rome. Although I am glad I got a chance to experience Rome, the city is too frenetic after the lovely and low stress environments we had been riding through. I was still in the serene rolling hills and lush grape and olive orchards mode when suddenly we found ourselves in the middle of this traffic laden, highly over-touristed area with architectual magnificence at every turn. It was overwhelming. A Great Trip Even For a Novice Cyclist! This tour is perfect for both experienced and novice cyclists. Faster cyclists had the option of taking longer, more challenging routes, while beginners were encouraged to go at their own pace or take advantage of the van. We met wonderful people, rode through gorgeous scenery, and dined on superlative Tuscan food and wine. I also can’t emphasize enough how wonderful our VBT tour guides, Paolo and Gabriele, were. They took excellent care of us, shared riding advice and Italian history with us, and even gave us a crash course on Italian sign language! What an incredible way to get up close and personal with this beautiful region of Italy! While some of the “hills” were challenging, with the aid, encouragement and support of the fabulous guides on our ride, I was able to meet that challenge. There was also 100% support for choosing to do whatever portion of the ride you felt best equipped to do. The rolling hills of Tuscany were simply gorgeous and by bike riding you also got to experience the fragrance of the crops – which was very cool. The accommodations selected by VBT are top notch. Each place was as nice, if not nicer than the last. It was such a great vacation – we hope to do another one soon. We enjoyed the pre-trip in Florence walking along the Arno River and experiencing the history of Michelangelo’s “David.” Rode through the amazing Tuscan Coast along the Mediterranean Sea. Experienced great food, wine and Italian culture. Ended in Rome on our post-trip. Visited the Sistine Chapel, St. Peter’s Basilica, The Coliseum and the Pantheon. What a fabulous trip, everything was perfect! Thank you VBT for exposing us to this wonderful experience! This is a wonderful trip. The weather wasn’t always perfect, but we always had fun. Our tour guides, Alessandra and Andrei (uncertain of spelling) were excellent. Once in a while, some of the roads had a little more traffic than would have been ideal, but this wasn’t really a problem. The hotels were excellent and accommodations were always comfortable. I would not hesitate to travel with VBT again and I would recommend using VBT to anyone who likes an active vacation. Hoopoe sightings and fun birding while biking, thanks to Christian and his bird book! 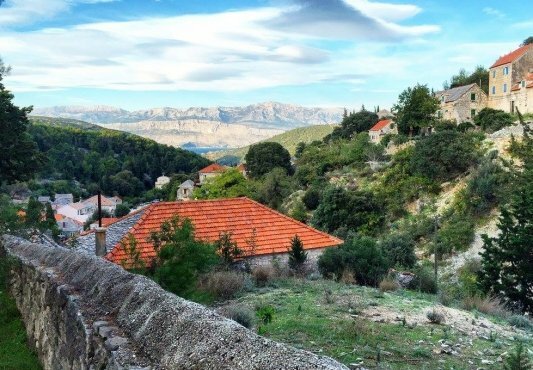 Medieval hill towns, worth the climb! This was my first VBT biking vacation and it was positive in all aspects …from the very first phone call made to the VBT office, the flight scheduling, our guides, biking through amazing scenery, group interaction, the activities planned and assisted transportation. We just returned and are already taking about which tour to take next.. This was our first VBT trip. We met some great fellow travelers. Paolo and Mateo were excellent leaders; very funny and supportive. We did the extensions at both ends. The VBT recommended tours were the better of the tours we did. Evan and Nicola were great in Rome on the Testevere Market and Food Walk and the Rome Evening Walk, respectively. The bonus rides were a real highlight for me, and even though my wife sat those out, she got in full days of riding every day. The hybrid bikes provided by VBT worked out very well. The first couple of days it took awhile to get used to so many directional changes, but it later there were fewer, and we got used to paying more attention. I had my Garmin Edge with me, and that made it easier to know when you have covered the distance to the next turns. This was my second Tuscany Coastal Tour (May 2016, vs October 2011), and was even better: longer day, lots of green countryside and freshly grown vegetables, and fabulous (totally luck) weather. Our guides, Alessandra and Luca, were outstanding (and fine chefs ;-)). Our group was very compatible. Again, the accommodations were excellent, as was the food. Go on the Croatian trip instead. 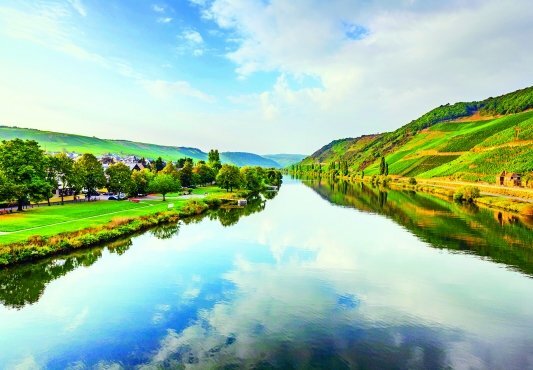 Less cars/traffic, much better scenery, accommodations nicer – lobbies to meet in – views – more interesting cities – more places to dine without having to take a taxi, less roads to navigate – means one can enjoy the view vs looking at 5 pages of detailed travel instructions. The cycling is more difficult, but enjoyable. We greatly appreciate your review. As this is very unusual feedback for this trip, our customer service manager was pleased to speak with you today in more detail regarding your concerns. Great accommodations as always, convenient and restful. Just like the movies portray! In Italy one eats, laughs, and rides. This trip was more than a trip; it was a life long memory of the romantic beauty of the Tuscan Coast, the celebration of each amazing meal, and the meeting and connecting with new friends. Such an incredible experience!! Amazing leaders really made the trip. The leaders should be given autonomy to design their trips and routes. The The hotel in Rome should be changed – not centrally located and rude staff members. We had heard about VBT from friends and decided to have them take care of our trip with 12 of our friends to Tuscany. It was a trip of a life time! VBT consultants and drivers took care of us the entire way from the airports to hotels and back. Every day we spent in Italy we didn’t think it could get much better, but the next day brought new adventure and beautiful views. We loved the Tuscan country side and the Mediterranean waters! Our Tour guides Paulo and Luka where fantastic. We liked that we had guides that new Italy and were very experienced. They really took care of us and made sure we had a wonderful experience. Only wish we could just stay in Italy! This was my first trip with VBT and I could not have been happier. Everything was great from the equipment, to the guides, to the unique places that we stayed at and the multiple activities included in the trip package. I highly recommend this trip and if this one is any indication of other VBT packages, I will be a repeat customer. Not a single complaint and enjoyed everything immensely. My first VBT and it surely won't be my last. I have heard others rave about VBT tours but never had the chance to take one. I am so glad I did and I am already planning the next one. The Tuscan Coast tour offered the right mix of cycling, great food and cultural exposure. While the biking was scenic it was also challenging at times but that’s also the beauty of this tour. You have the ability to do as much as you think you can. Our tour guides, Alessandra and Andrea, were the best. They were professional, funny and met our every need. Because of the heat and some other issues, I think our group was very demanding but they both did everything to accommodate us. Overall, it was a great time. The only negative comments I have would be that the hotel in Rome gave us a smoking room which was disgusting. Since it was only one night, we didn’t complain because we were also very tired. But the hotel should be aware that this is unacceptable. Of lesser concern would be that maybe in the middle of the week, there should be a less strenuous day since all of us were feeling our legs. Maybe a sleeping-in morning with a low-mileage afternoon would be better. But nonetheless it was a great time, great food & wine and two guides that were the absolute best. My husband and I had a wonderful experience during our trip to Italy and the Tuscan Coast. The bike rides were well planned and the scenery was beautiful. There were some challenging hills, but they were worth the effort. The guides were very knowledgeable and fun, and the places we stayed were beautiful. I would recommend this trip to everyone! Just got back from the Tuscan Coast tour. Even though we had some rain, it was still the most incredible experience. The scenery, food, wine, routes, people, guides and nature were all outstanding!! Two most important issues in such a trip are the area and the guides. The area is spectacular and the guides were excellent. Words cannot describe what happens out in the beautiful countryside of Tuscany. Our group of 15 truly became a family. Our leaders, Angelo and Marco, were entertaining and supportive every inch of the way. The routes were beautiful and just right. We got to see and experience things we never would have otherwise. This was our first trip through VBT- truly a trip of a lifetime for us – and we know we’ll be back again! Cycle, eat and drink your way through Tuscany! As life long cyclists now retired, this trip brought back many memories of the joy of cycling with the added features of incredible Italian food and wine. Our guides Paulo and Luca made every step of our trip enjoyable. The lodgings were top rate. The extra features (wine tasting, olive oil tasting, cooking class, city tours, etc) were the highlights of the trip. The route design minimized high traffic areas to connect to the narrow countryside roads through vineyards and olive orchards. I especially liked riding through both the hillside towns and out to the Mediterranean Sea. We will do another “no worry” vacation with VBT. Everything about our first Biking Trip was better than I ever expected. It is a truly cultural experience as you bike through vineyards, olive groves, villages, stop at local eateries & stay at quaint hotels!!! We will definitely be taking more VBT trips! My daughter and I booked the Tuscan Coast Tour 8 months ago. It was everything and more that we had hoped for. The guides, the scenery, the cooking class, the food, and the accommodations were terrific. VBT made our vacation a completely stress free experience from the moment we booked the tour. This was our 11th VBT bike trip, and is near the top of the list. Great riding itinerary, great lodging experience, superb food, and of course super trip leaders. Our first vbt trip, looking forward to doing another next year! It was great! This was a great trip in every respect. The biking was wonderful, the hotels were all terrific, and of course the food was outstanding. The guides were delightful, funny, helpful and so nice to be with. Biking with adult children in Tuscany was great! Our family of five with three daughters from 20-35 years old had a great experience. Tour guides were local and fun; biking was easy to moderate so no one got burned out. Tuscany is beautiful, food is great, and we learned a lot about Tuscan food, wine, olive oil and gelato! Booked with Kids and had such a great time. Kids and I enjoyed all aspects of the trip. A well placed and beautiful trip made even better with the Tour Leaders, Paolo and Luca. The 3 hotels were all wonderful and different. Enjoyed the landscape, food and wine. Tuscany in June was amazing! We were glad to have extended the bike tour in Florence (pre) and Rome (post) as this was our first trip to Italy. Our tour leaders were wonderful and VBT handled all of our trip details perfectly. The riding, the food, the wine, the people, the sites, the history…. wow! We were happy to have brought our saddles, clips and shoes. Overall, glad I went and enjoyed most of the rides. Would not do this again in June, too hot. Tuscan Coast-A trip of a lifetime! As I prepare for my trip, I kept thinking how much fun I was having preparing and would the trip be as much fun as the preparation. No worries-the trip was everything I had hoped for and more. Upon my return friends asked me what was the highlight of the trip and I could not give them one because the entire trip was a highlight!!! The pre-trip, post trip, accommodations, biking, food, leaders, and additional activities were all unbelievable! Thanks VBT! The Tuscan Coast trip was filled with beauty, culture and culinary experiences. This was my first bike trip and it was better than expected. I’m not a very experience rider but the guides made several accommodations for me and other people on the trip. I had to pinch myself every day that I was riding through Tuscany! Our guides Paolo and Alessandra were fantastic. I loved stopping at the various villages and especially enjoyed the olive oil lunch and Luigi’s Agrihotel. Thank you VBT for making this trip a dream come true! This was our first VBT trip and it was a blast! The pre-trip information was extremely helpful so that we were well prepared for the experience. We made the decision to go to Tuscany almost immediately when hearing of the opportunity. Then we had to decide which trip to Tuscany since there were three offered. The tour guides were incredible. They made it fun and were eager to meet all of our needs. My husband and I went, not knowing anyone on in the group, and by the end of the week we had really all bonded. The level of bike riding was perfect: a bit challenging but just right. We thoroughly enjoyed all the added extras like the cooking class, Italian class, wine tasting class and the olive oil class. We had just the right amount of down time too. My favorite part of the trip was the varied countryside and all the different landscapes that we encountered: pine forest, rolling hills, medieval towns, wine vineyards and olive trees and we even got a chance to ride to the sea and walk on the beach. I cannot say enough good things about our trip. We are home now and the memories we have will last forever. This was our first VBT trip and it exceeded our expectations! Our guides provided daily information about the routes we would be traveling, history of the area, local customs and some key phrases. They provided a morning picnic and were always available to help out if needed. They showed us off the beaten track photo ops of Tuscany and recommended local restaurants with reasonably priced but delicious food. Just a heads up, this was more challenging than my previous easy to moderate tours. Although not hilly every day, somedays rolling (nice) there were two days that you had to dig deep to get up the hills. Once up the views were worth it and you felt a sense of accomplishment! This was our 3rd VBT trip and in comparison to our previous trips we were underwhelmed and quite disappointed with the accommodations, the food and repetitive routing. None of the accommodations came even close to our experiences in France and Napa and neither did the food. In fairness, when the description reads “rustic” they really mean rustic as you are staying at farms or remote inns. At the last agritourismo there was not enough hot water in the afternoons for everyone to shower and none in the mornings. When the meals were ‘on your own’ we were either a captive audience on a remote farm with no options or in a seaside resort that had shut down for the winter season (we took the tour in mid-September) thus there were essentially no restaurants open. The trip to the olive farm was by far the best meal of the trip and the most interesting activity. On 2 days parts of the routes were repetitive which took away from the enjoyment but overall, the biking was quite interesting. I would rate the difficulty on the moderate side, rather than easy. On the 5th day, you ride for 51km in the morning with a 500 metre elevation gain over 16 km and the afternoon ride is 25 km with a 200 metre elevation gain. It’s not arduous but if you were hoping for an easy tour, that day definitely trends to moderate. Most of the routes were delightful scenery through vineyards or small villages and were about 45 km in distance through rolling hills. We have used the Ride with GPS app for 2 of our 3 VBT trips and can’t recommend it highly enough. It’s a game changer – we ride with an ear bud in one ear and the directions are extremely accurate so you really can’t get lost. It’s important, however, to use a headset (just in one ear) as you can’t always hear the directions if you are using the speaker on your phone due to road noise. We think this trip was an anomaly and are booking our fourth trip for Fall of 2018 – but back in France where we hope the food & accommodation are more in keeping with our previous, excellent trips. Thanks for your review and for sharing your detailed feedback with our customer service manager when you returned from your trip. This was my 6th VBT bike tour and as was expected it was a great vacation and bike ride. The tour started in Florence were we meat the trip leaders, Massimiliano and Alessandra. There were knowlae of the area and would share that knowledge with us. For me the high point was when we as a group made dinner, and then we sat down to eat together. A great meal and a great trip. Great bike riding through beautiful scenery. It included a couple of more difficult days but the guides were very supportive. The guides were professional and must have done a lot of behind-the-scenes work to make to trip enjoyable and run smoothly. Accommodations were excellent. Spectacular trip through the countryside of the central Italian coast. We rode through forests and farmlands, along the Mediterranean Sea and into the Tuscan foothills. The scenery was stunning and the riding was invigorating; each day brought something different. The visits to local olive-and grape-producing farms were educational and the opportunities to sample local cuisine endless. Our guides were knowledgeable and fun to be with–they added so much to the trip! We had such a great time! We just returned from this trip a week ago and had a wonderful time! No one in our group knew each other before the trip and we all got along great. The cycling was gorgeous and trip leaders Paolo and Angelo kept us laughing while being attuned to our every need and maintaining the bicycles perfectly. Highlights of the trip were the visit to the olive farm, learning about wine production at two different wineries, and best of all, making dinner at Chicca’s and eating together. This is our 3rd VBT trip and each one has been fantastic! We were a group of 10 with a range of fitness abilities. This 6 day bike trip was well organized for pace, terrain, stops for snacks and food and roads that were safe and friendly for bikes. The accommodations were top rate, the food was, not surprisingly, delicious! It’s a good thing we were biking to burn off those sumptuous meals of authentic local cuisine. We recommend VBT and the Tuscan tour for anyone who is interested to experience Italy on an intimate level. Wide variety of fun rides, great guides, beautiful scenery and accomodations and wonderful food & drink! Beautiful scenery, great hotels, wonderful traveling companions made for a great experience. My wife and I loved this tour. I would recommend it to anyone with the ability to bicycle at a moderate pace and distance. The bicycle choices, routes, GPS guidance apps, tour guides, sag wagon availability, food, accommodations, and congenial fellow riders all made the experience unforgettable. Everything was just great on our trip! Details were all taken care of! It was fabulous, enjoyed every moment of the beautiful view.It was so peaceful and breath taking.A wonderful way to spend a vacation. My husband and I were referred to VBT from friends of ours who are avid cyclists and had just returned from their 3rd VBT vacation. We’ve always wanted to visit Italy and also wanted some action and adventure. We have recently taken up cycling and chose to take a chance on this trip. We would highly recommend it to anyone looking for fitness and adventure, all the while staying in beautiful locations. We will definitely book another VBT trip in the near future. We loved the structure as well as the flexibility it provided for us to have our own downtime in between well planned bike rides. We took advantage of the pre-trip extension and we had a great time exploring Florence. The VBT guides are incredibly knowledgeable about the area, ours were local to the area and they were super flexible, willing to accommodate special requests and strived to make everybody comfortable and happy. VBT provides many different biking solutions such as road bikes, hybrid bikes as well as E bikes for all different ages and ability. We enjoyed the people in our group and have made friends with many of them. We laughed lots and enjoyed many experiences which will become lifelong stories that we will cherish… Thank you VBT, for an amazing vacation! The landscape was breathtaking each day. Once back at the luxury accomodations, we could share the day’s experiences with others in the group. The food was organically grown, made homemade each day and we benefitted from nutrients at their peak. I do recommend getting an E-bike to make your trip more enjoyable. Enough good things cannot be said about this trip. Wonderful guides, warm cultural experiences, phenomenal bike routes that could always be tweaked to one’s ability, and a general, unforgettable comradery that was fostered throughout week. Can’t wait to go on another journey with VBT!